Night Watchman Security Essentials Kit - Includes Stun Gun Flashlight And Night Stick, High-Quality Materials, Exceptional Performance | BUDK.com - Knives & Swords At The Lowest Prices! 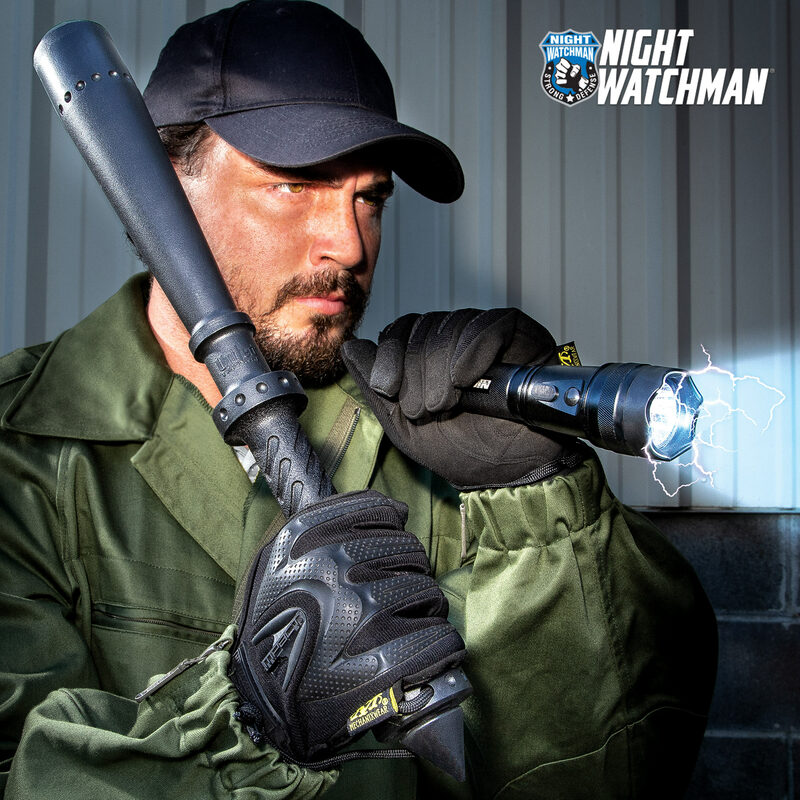 In the Night Watchman Security Essentials Kit, you are getting two of our most popular self-defense tools - the Night Watchman Two Million-Volt Stun Gun Flashlight and the Night Watchman KGB Night Stick. The versatile stun gun/flashlight combination defense tool is one of the most powerful stun guns available on the civilian market today! It boasts two million volts of intense shock power - more than enough to incapacitate any would-be assailant. 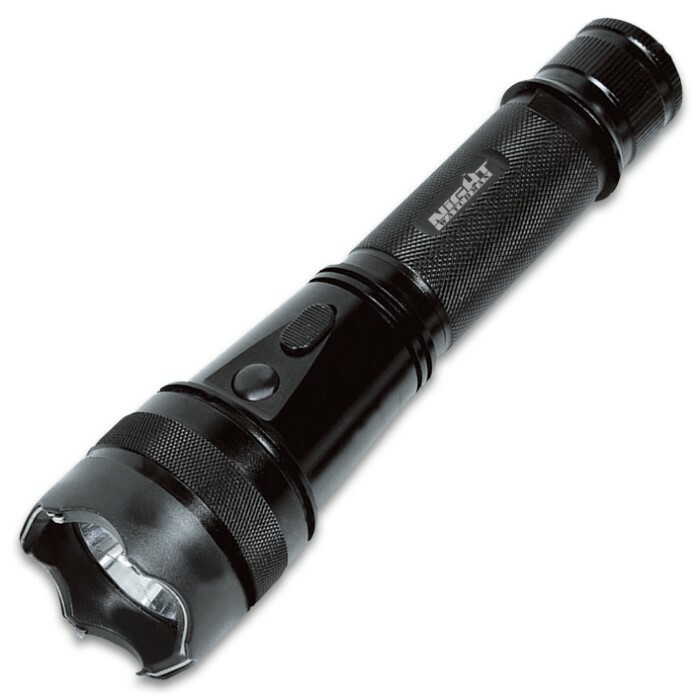 The extraordinarily bright CREE XPE LED flashlight is perfect for illuminating your way through dark parking lots or alleys, and it even offers a second defense option in its foe-disorienting strobe mode. 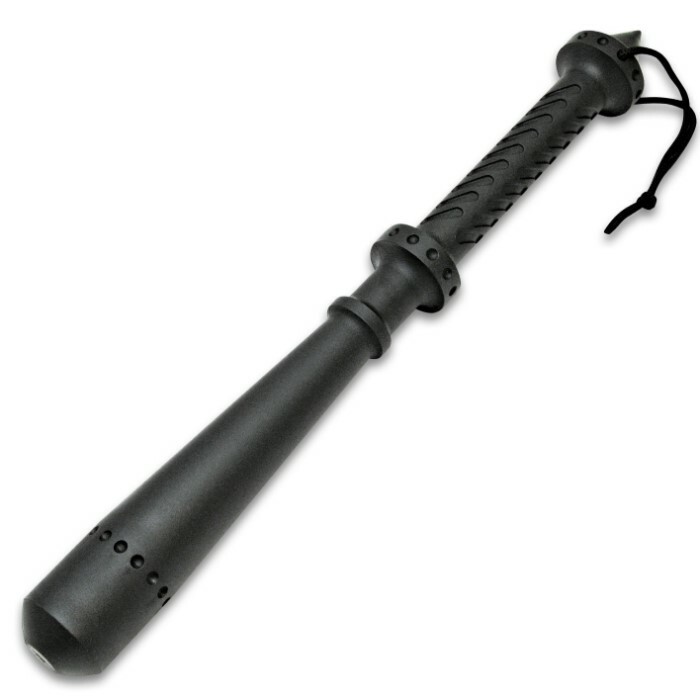 Designed specifically for law enforcement agencies, the night stick is a deterrent you can count on when you’re facing the toughest situations. It is a solid piece of injection molded polypropylene with a textured, secure-fit handle to ensure you have a rock-solid grip. Both self-defense weapons have a wrist lanyard for transport and as an added measure of security to keep them in your control when you’re using them. When you go out at night, these are the friends you want with you!